My mother and I were staying in Colorado Springs at the start and at the end of our eleven day vacation to Colorado from Texas in July of 1999. We tried to fit in all of the attractions that we could in the time allotted and since Manitou Springs essentially blends into the Colorado Springs landscape, we decided to check out the Anasazi Cliff Dwellings there. Pictures of those cliff dwellings as well as Indian Dancing will be found in this post. Both Manitou Springs as well as Colorado Springs sit in the scenic foothills of the towering Pikes Peak mountain which dominates the landscape from all directions. Long before white settlers discovered this part of Colorado Native Americans lived there and knew the land intimately drawing life and sustenance from it. They would undoubtedly have enjoyed the natural beauty of the forests, mountains and streams. Underground aquifers bubbled up to the surface and the natural spring waters not only provided good clean drinking water for the Indians but also lured wild game to this area. The animals when killed would then have provided the Indians with hides and meat as necessary for clothing, shelter and food. Called the "Ancient Ones" the Anasazi Indians are ancestors to the modern Pueblo Indians. In addition to the Anasazi, other tribes like the Cheyenne, Kiowa, Arapaho and Ute also lived in this area around what is now called Manitou Springs. Things started to drastically change for the Native Americans when surveys were ordered of these lands after the Louisiana Territory was purchased from Napoleon in 1803 by what was then the growing United States of America. Following the exploration and mapping of these beautiful parts, settlers were drawn here which ultimately had the effect of pushing the Indians away from their native lands. Regretfully this happened in many other parts of America as well at different times and locations. The Anasazi Indians settled in the Four Corners region of the country which includes parts of Utah, New Mexico, Colorado and Arizona. In addition to building lodgings with bricks made out of dried mud and vegetative materials on the ground, Indians also took advantage of the overhangs of cliffs with naturally carved out caves caused by erosive action over the years to build dwellings for themselves and their families. These cliff palaces or cliff dwellings were secured to the front by facing them with handmade bricks. They were also considered to be safer lodgings in case of warfare between rival tribes of Indians. 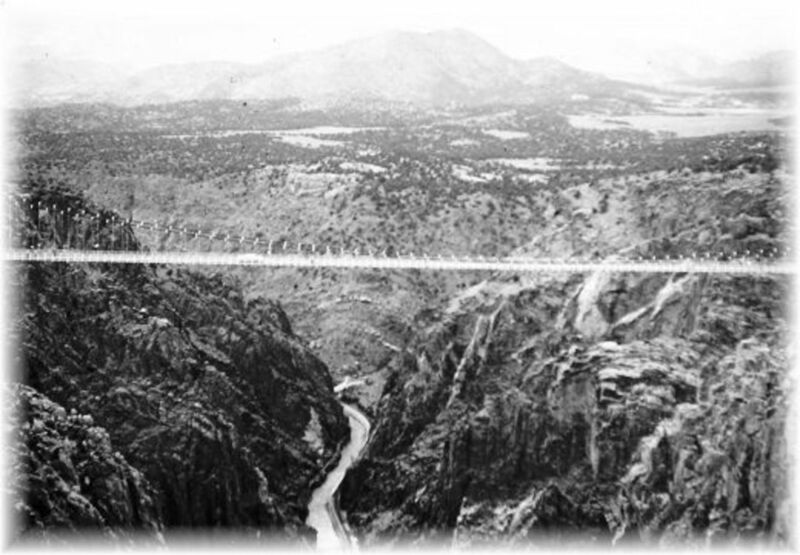 Since they were built high up into the mountainsides, all the Indians had to do to protect themselves from assault would be to pull up the homemade ladders and easy access to their homes would have been made much harder. The downside to this would be that eventually they would be forced to exit those cliff dwellings to have access to fresh water and food. The need for water would have been the prime necessity driving them from the safety of their save havens the soonest. There is some controversy over the Manitou Cliff Dwellings authenticity. Some claim that these are actual ruins dating back to 1100 - 1300 A.D.
Others suggest that the bricks and structure was relocated from actual sites in the Four Corners region of the country to this location of the existing caves. Some people say that this Manitou Cliff Dwellings structure was simply constructed to showcase how these ancient people built their cliff palaces and how they lived. In any case, it gives visitors a chance to experience a hands on view of life as it would have occurred centuries ago. The adjacent museum and gift shop are well worth a visit and one can view prehistoric artifacts as well as purchase more modern souvenirs of one's visit if so inclined. Tourists can visit the Manitou Cliff Dwellings every day of the year and at the time of our visit, adult tickets cost $7 with child tickets priced at $5. In the months of June, July and August an added attraction are the multiple performances that can be enjoyed at no additional cost with authentic Indians dressed in colorful costumes doing dances that date back in time and hold great meaning in their native Indian culture. The Hoop Dance represents the never ending circle of life. The old beliefs meant that a person was rewarded with good or evil depending upon how they lived their lives. In other words according to more modern terminology..."What goes around, comes around." Personally I think that there is much credence to this belief. 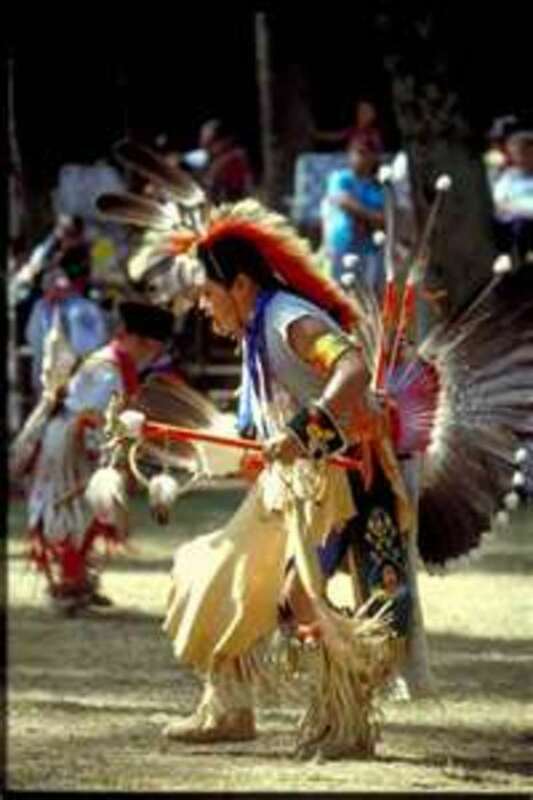 This dance has great symbolic meaning as does the Eagle to many native American Indians. Many Indians believed that the eagle who could fly higher than any other bird could carry prayers directly to God. Thus for centuries the Eagle has been revered. Interestingly enough, when the United States was formed, the American Bald Eagle was chosen to become our national symbol and has been featured ever since on every type of thing from currency to furniture to tapestries to paintings and so forth. As a national symbol, the American Bald Eagle is protected and cannot be hunted or purposely killed. That being the case with permission from our government and only if an eagle is found dead from natural causes are todays Native Americans allowed access to harvesting and using eagle feathers in their ceremonies. 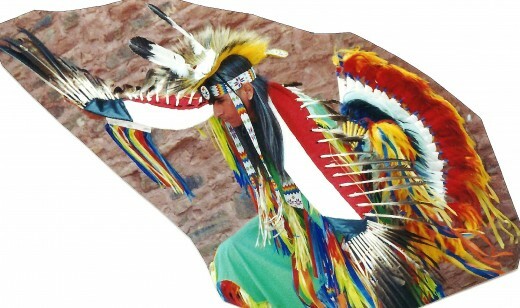 Thus the eagle feathers on the arms of these dancers are very special and treasured items and are not easily replaced. If you find yourself looking for attractions in Colorado Springs, just a "stone's throw" distance away is Manitou Springs where these Anasazi Cliff Dwellings can be not only be viewed but entered and explored room by room. With modern paved paths and stairs with railings these cliff dwellings are accessible to most people. For the more adventurous who wish to climb those wooden ladders, that can also be done. Inside of the caves looking out at the surrounding scenery the views are magnificent. For those who have not yet visited the cliff dwellings at Manitou Springs, Colorado, hopefully these pictures and videos of Indian dancing as well as the other pictures leave you with an impression of what can easily fill a few hours of your time if you are ever in this gorgeous part of the country. Have you ever visited the Manitou Cliff Dwellings? Native American Music / Ly-o-lay-ale-loya ~ Great images along with the music! It would be nice if you can see Manitou Springs in person someday. Thanks for your vote and so glad that you enjoyed this. This place is interesting, I hope to visit this place someday. The dwellings are unique in the way they have been constructed. Thank you for the trip to this place. Voted up. Hi Peggy W! Very lively, original, and great hub. I love history and you have uncovered the history of this place along with its present. Eagle dance is still performed in several parts of India like Nagaland. 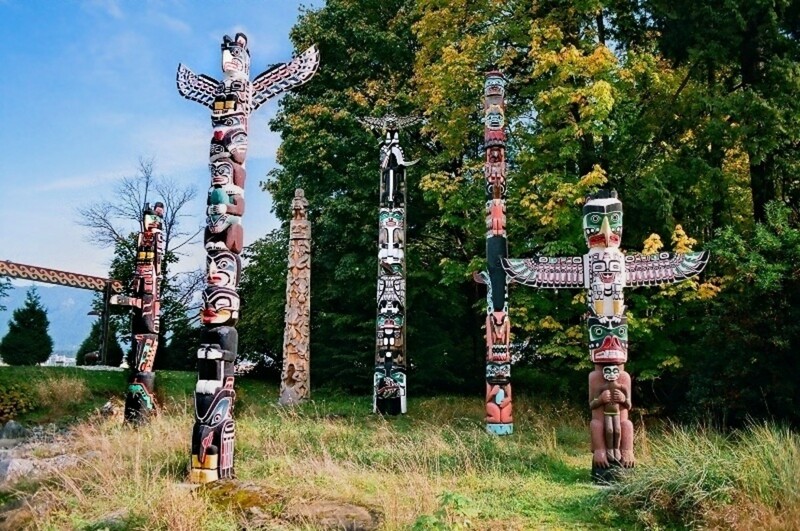 A very interesting hub and pictures and it was fun visualizing how life for these Indian tribes must have been back then with all the traditional dancing and festivity to accompany their daily grind of life. The dances that native American Indians do have different meanings and are definitely interesting. Will have to look for that YouTube video you mentioned. Thanks for your comment. Getting to see how the cliff dwellers lived was most interesting and getting to see the ornately costumed Indians doing their special dances just added to the enjoyment of visiting the Cliff Dwellings at Manitou Springs, Colorado. Glad that you liked this. Thanks for the vote and the share. So interesting. My daughter was studying indian dancers when we came across some very old footage on youtube called Sioux Ghost Dance - fascinating stuff. Great hub. Had to vote up and share. How interesting about the cliff dwellers. I would love to visit Mesa Verde someday. In the meantime, I am so glad to have shared visiting the cliff dwellings in Manitou Springs, Colorado with my mother. I always enjoyed traveling with her. She was not only my mother but also my best friend. We loved doing and experiencing things together. I have never been to a Pow-wow. Am sure that it would be most interesting. Thanks for your votes + share. Even though I lived in Western Colorado for 2 years and toured the state several times, I never did much around Colorado Springs. I have been to the cliff dwellings in Mesa Verde Colorado several times (Southwest corner of CO). The ones you have pictured here look similar. You have so many great photos and videos as always. 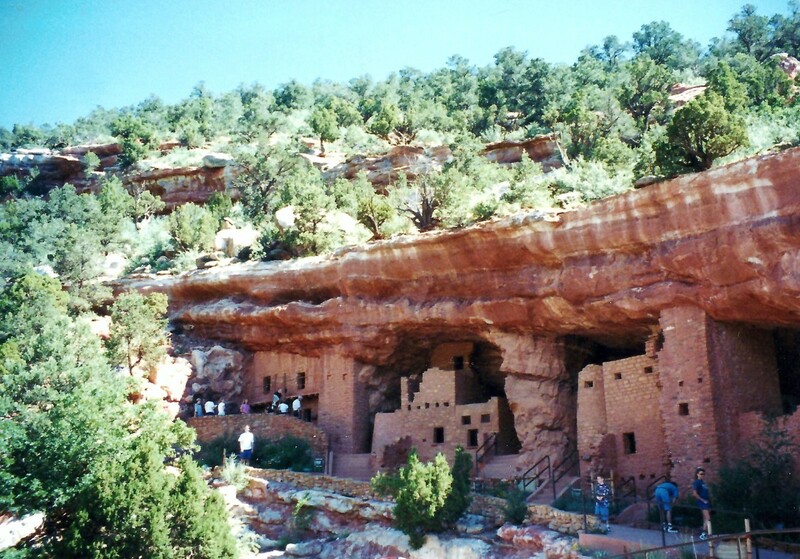 I think everyone should visit at least one of these cliff dwellings. Indian Pow-wows can be very interesting too. You're so lucky to have traveled to so many interesting places. Excellent hub, voted up, BAI, and will share! Manitou Springs is just a hop, skip and a jump away from Colorado Springs. Sorry that you missed seeing it while you lived there. 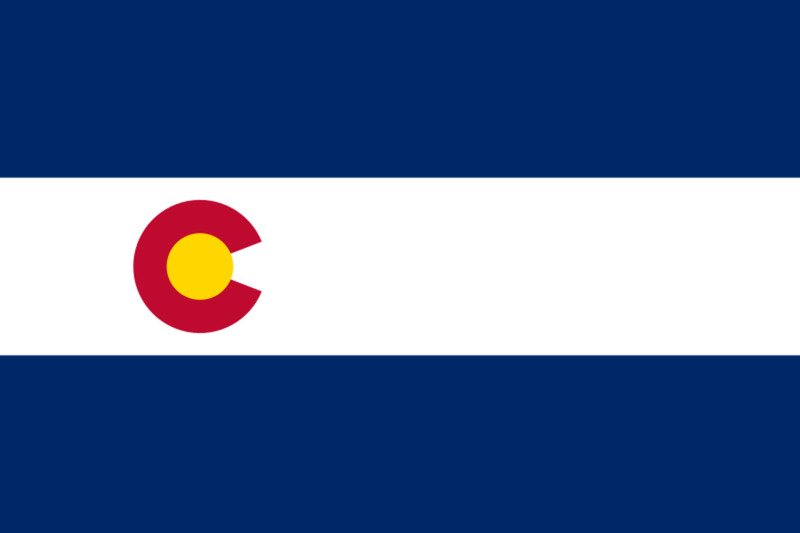 It will be there if you ever go back to that area in Colorado. This is something new. Now I lived in the Colorado Springs area but it seems I missed some places to visit. I have not been there. I will have to put it on my list of places to go if I am in the area again! 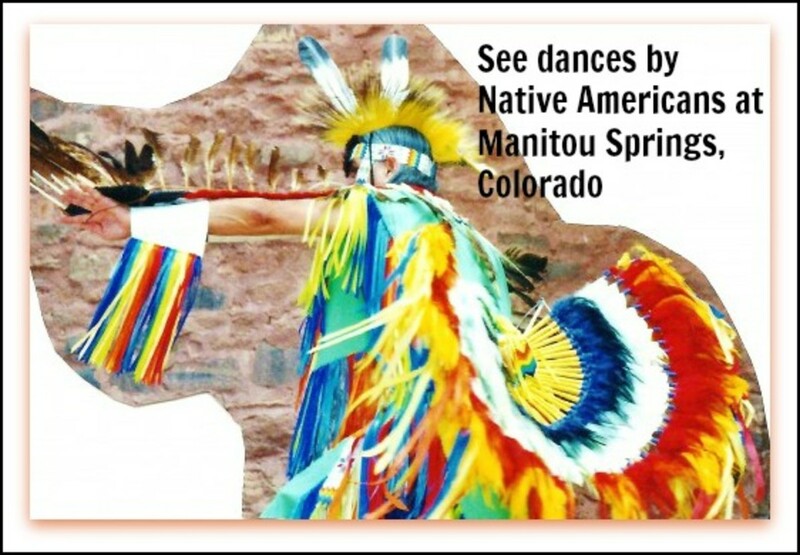 You would enjoy the Indian dancing at Manitou Springs if you ever go there. Of that I am sure. Thanks for your comment and votes. I have seen similar cliff dwellings in New Mexico, but I believe they were from a different tribe. No dancers unfortunately. I'll put this on my must-visit list if I ever reach Manitou Springs. Voting this Up and Interesting. I remember seeing Petroglyphs in Utah...evidence of American Indian drawings from the past on rocks in various places. 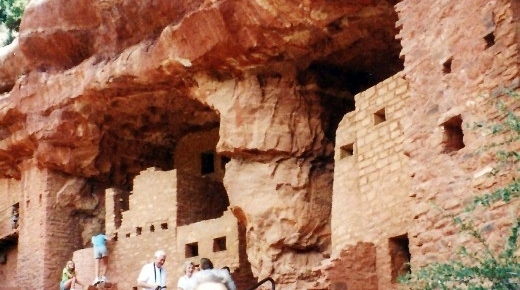 Thanks for your comment on these cliff dwellings in the Manitou Springs area in Colorado. I'd love to go here. I remember when I was a little kid, we went and hiked around Utah and found some old Native American dwellings on top of a plateau. Very cool. Thanks so much for the share and your comment. The cliff dwellings at Manitou Springs are interesting whether or not they are authentic. One can still learn much by viewing them. I hope those fires destroying parts of Colorado Springs are not threatening this area which is nearby and also wooded. The controversy over the authenticity of the cliffs is interesting. I liked the part about the dances and you have one great-looking hub here Peggy! So glad that you enjoyed this hub about the cliff dwellings at Manitou Springs, Colorado. The Indian dancing is an added attraction to be sure. Thanks for your comment and especially the sharing of this hub. The Indian history all across this land of the U.S. is fascinating. Well Peggy, from St Augustine to Colorado! This was surprising here 'cause I always thought the ancient and mysterious Anasazi were only in Ariz. or New Mexico. No wonder the four corners region is considered sacred. Lots of strange goings on there too but that's another story lol. Enjoyed the history and photos very much Peggy and what a super pic of mother! she looks abit exhilarated! Perfect hub for a share! I truly think that you will enjoy visiting the cliff dwellings at Manitou Springs with your mother much as I did with mine. So glad that I now have those memories of sharing experiences like this one with my mother who is now in the next life. I love seeing her picture every time someone makes a comment. So thanks! Enjoy the time spent with your mom while you still have her. Those times spent together are precious! Peggy - Your photos are wonderful. I grew up in Aurora Colorado but somehow we missed visiting Manitou Springs. I will be asking my mom to arrange a trip there for when I visit next year. So glad to hear that you enjoyed seeing the photos, videos & learning about the Cliff Dwellings at Manitou Springs. Appreciate your comment and votes. I'm so glad I had the chance to read this wonderful Hub. It was very informative and I enjoyed the videos. I voted it UP, etc. 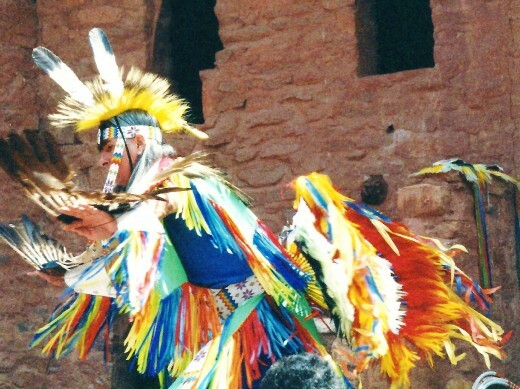 The costumes of the Indian Dancing at the Cliff Dwellings at Manitou Springs, Colorado are surely that...colorful! Glad that you liked these pictures. Thanks for your comment. Peggy, what a beautiful collection of photos. The Indians are so colorful and the Manitou Clioff Dwellers are fascinating. Thanks for sharing. That must be fun to attend Native American powwows and see lots of Indian Dancing among other things. 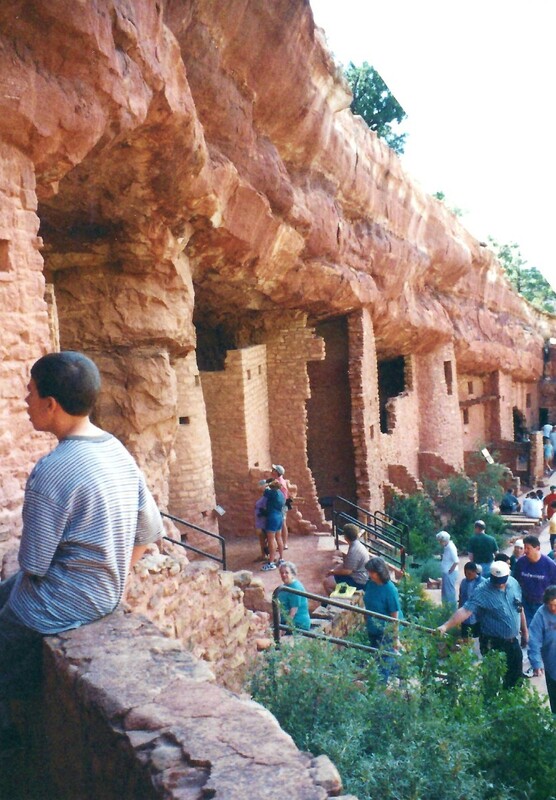 Happy to hear that you enjoyed reading about the cliff dwellings at Manitou Springs in Colorado. Thanks for the comment. Voted it up. Great hub and beautiful photos and videos. I've attended many Native American powwows-usually once a year. I love N.Amer. history. Thanks for sharing. I'll bet that was Montezuma's Castle in Arizona...correct? Getting to go to a pow wow and join in with the Indian dancing must have been quite an experience! Thanks for your comment. I saw cliff dwellings something like this in AZ. I once went to a pow wow and was invited into the circle to dance. It was a real treat! Will have to check that out! Glad that you found the pictures of Indian dancing with the Hoop Dance interesting and meaningful. When one knows more about the meanings of these dances, it takes on so much more significance. Thanks for the comment. Beautifully done, PeggyW. I also agree with the philosophy of the Hoop Dance. I found this in Ms. JB's award hub-- congrats! The pictures of the Indian dancing against the cliff dwellings at Manitou Springs, Colorado do make for colorful images! Glad you liked seeing them and thanks for the comment and vote. Wow , i like this beautiful pictures that i rated it beautiful. These Indian cliff dwellings are interesting indeed. Visiting Manitou Springs, Colorado and the nearby Colorado Springs also offers much more in the way of interest for tourists. Magg's pictures taken with her husband when they were visiting the cliff dwellings at Manitou Springs were terrific. Glad to hear you also saw them. Thanks for the comment. Thanks for sharing this amazing information and the wonderul photos. This is something I know rather little about, and would love to know more, so I found this great. Will come back for another read, I'm sure. I remember reading Mags's Hub about the cliff dwellings some time ago. Thanks for your interest, Ankuresh, and comment about the cliff dwellings at Manitou Springs, Colorado along with the Indian dancing. 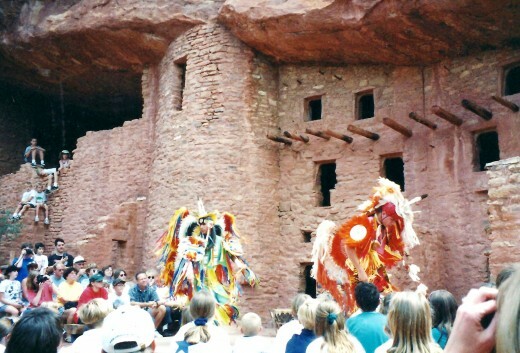 I agree that those colorful costumes set against the red toned cliff dwellings when the Indian dancing takes place is a great color contrast. Yes...seeing it in person at Manitou Springs, Colorado is an even better proposition than seeing it here, but at least viewers can get an idea of what there is to experience via these pictures and videos. Thanks for your comment. The vibrant colors against the deep red hues of the earth is a very striking image - I can only imagine the effect first hand - nice presentation to boot! 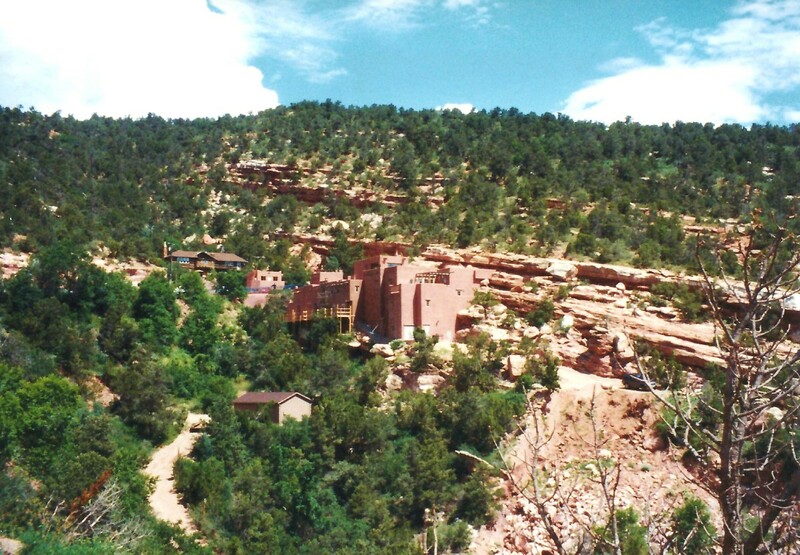 I loved all the pictures and information you have in your hub about the Manitou Cliff Dwellings. Yours is a terrific hub to read and view which is why I am happily pointing people your way. Since you and your husband missed seeing the Indian Dancing, when I found your hub I thought that I would take my hub in a different direction. Thanks for linking mine to yours. They compliment each other perfectly and if people read both they will have an even greater idea of the scenery, etc. that can be enjoyed. Thanks for your comment. Hi Peggy I really enjoyed reading your hub, you really are an excellent tour guide. You are such a good writer that I felt like I was really there along with you and your mom. Thanks for the mention I will be posting a link to yours along with my recommendation for folks to come and visit your fantastic page. Glad that you enjoyed this hub and the pictures portraying the Indian dancing at the cliff dwellings found at Manitou Springs, Colorado. Yes, we could learn much from our Native American Indians! Thanks for the comment. Thank you, Peggy, for giving me such a feast. They are fascinating peoplw. I am glad they get more recognized. They have a wealth to give. I wish people would listen before it's too late. The costumes for the Indian dancing are admittedly colorful. Perhaps someday if you decide to travel to Colorado you can put Manitou Springs and the cliff dwellings on your list of places to visit. Thanks for the comment and rating. Peggy, I would absolutely love to visit the cliff dwellings. Your pictures were fantastic and I like the Eagle dance. The costumes are so colorful and beautiful. Awesome hub/rated up. Native Indians existed almost everywhere in what eventually became the United States of America. Some were hunter/gatherers and therefore more nomadic traveling with the seasons and following the food supply. Others relied upon crops that they planted for food sources therefore putting down more permanent roots. Some indians were more combative in nature and others more peaceful. Thanks for reading and commenting on this hub about the Anasazi cliff dwellings in Manitou Springs, Colorado. Thank you for the accolade on this hub regarding the cliff dwellings at Manitou Springs, Colorado and the Indian Dancing. Yes, our treatment of the native Indians who roamed the land now called America was shameful to say the least. We could learn so much from them as to how they respectfully treated the land and only used what was necessary for survival. No slaughtering of animals for trophies to hang on their walls...just one small example. If they killed an animal almost every part of that animal was utilized from the hides to the meat and even the bones. From what I know (and I am certainly no expert) their spirituality and beliefs encompassed everything that was bestowed upon them from God (or gods) from the earth they trod to the wonder of fire, water, birds in the air and the buffalo that helped give them food and shelter, etc. They may have lived simply but revered what is most important in this life and beyond. Thanks for your comment. Perhaps you were too busy to do much sightseeing when you spent that time in Colorado Springs? My mother and I started our vacation by flying from Houston to Colorado Springs then rented a car. We drove to other areas of the State and naturally ended up back in Colorado Springs before returning home. I had researched what there was to see and do from that base of operation in the time allotted and thought that the Cliff Dwellings at Manitou Springs would be interesting to see. We lucked out on the timing, since it was in the summer, to also be able to see the Indian Dancing which really added flavor to the experience. At least with these pictures (and those of Maggs) you have an idea of what is there if you ever find yourself back in that area. Thanks for the comment. I liked everything about Indian. You post valuable information about Indian. And the good news, I never thought that this is actually exist on Colorado. I really enjoy all the pictures and video. Vote up. Congratulations for your 100 hub score. God bless you. A brilliant hub is one that adds to the knowledge of the reader and this is a case where the word brilliant isn’t strong enough to describe it. How our ancestors ever had the audacity to call these people savages beggars belief and I hope that no one white washes that shameful part out of our history. Really lovely Peggy. I am disappointed to realize that a few years ago I lived in Colorado Springs for a month and didn't realize the Anasazi site was so close! Ug. Well, maybe in the future. I can only imagine the feeling of being there. Thanks for taking us along with you and your mom. 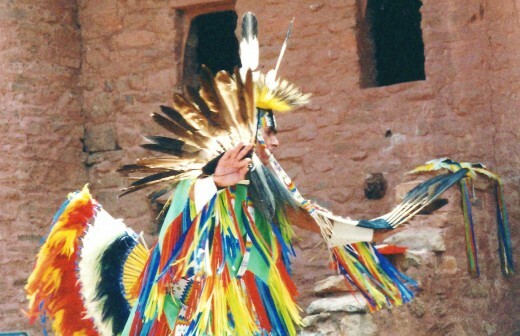 You are right in that the dancing done by the Indians on site at the Manitou Cliff Dwellings teach people about Indian culture in a fun way. Thanks for stopping by and leaving a comment. So very happy to hear how much you enjoyed this hub about Indian Dancing at the Cliff Dwellings located in Manitou Springs, Colorado. Those Indian costumes certainly make for colorful pictures! Thanks for your comment. I agree with you that Colorado Springs area including Manitou Springs is simply gorgeous. Your having spent a year there must have been fun. Attending a Native American Indian powwow sounds like it would be fun. So much to learn from those cultures! Thanks for that suggestion and comment. Happy to hear that you enjoyed these pictures of the Indian dancing at Manitou Springs, Colorado with the cliff dwellings as a backdrop. Quite a stage setting! Thanks for your comment. There is a magical and holy, if you will, atmosphere to the Cliff Dwellings at Manitou Springs, Colorado. Thanks for the visit and comment. Yes, Manitou Springs is definitely worth a visit for the cliff dwellings as well as other reasons. It is also so close to the wonderful Colorado Springs attractions like Garden of the Gods, Pikes Peak, the U.S. Air Force Academy and other sites as well. 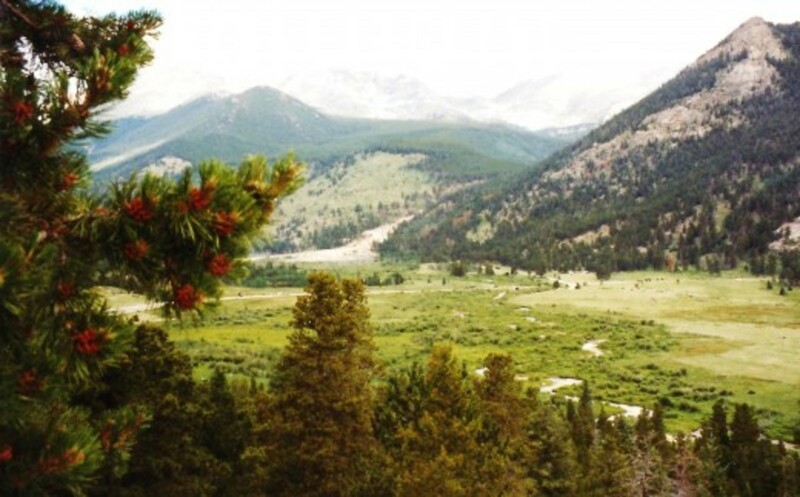 A vacation could easily be spent just exploring this one part of the country in Colorado. Thanks for your comment. Been there. Done that. Loved it! Thanks for the reminder and the great pics! As you say, keeping one's culture alive is important for people all around the world. These American Indian dancers share some of their culture with their dancing by explaining some of the meaning behind those dances. They also invite the audience to ask any questions. It is a wonderful part of what can be enjoyed at the Manitou Cliff Dwellings if visited in the summertime months. 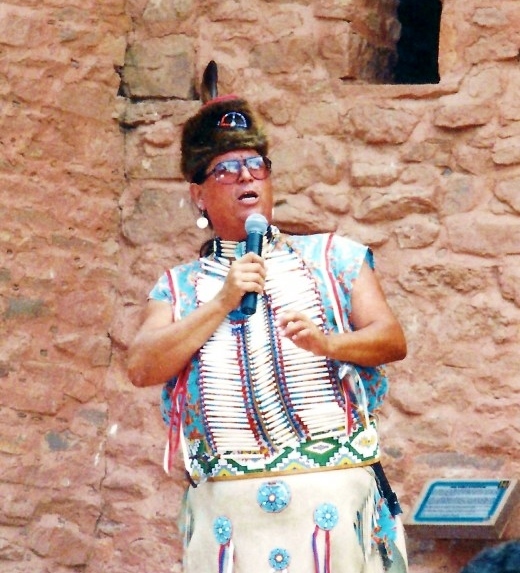 Happy to hear that you enjoyed not only the pictures but the videos of the Indians doing their various dances at the Manitou Cliff Dwellings. My mother and I had some fun there that day! Thanks for the comment. Yes...it really doesn't matter if the Cliff Dwellings at Manitou Springs, Colorado are authentic or just reproduced. 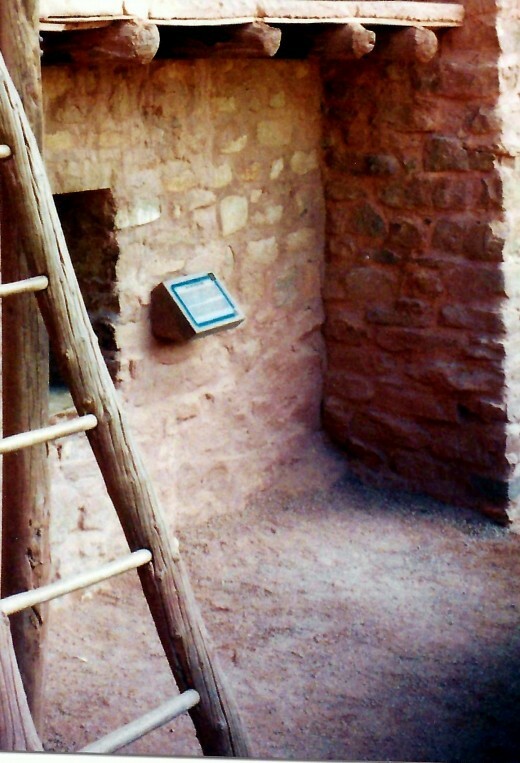 One really can get an idea of just how these cliff dwelling Indians lived by being able to wander through these interconnecting rooms and look out of those windows. The pottery and relics in the museum are authentic and one can learn much by talking to the Indians who do the ceremonial dancing at that site. Thanks for reading and commenting. You are correct in that the cliff dwelling Indians were typically more agrarian in nature. Obviously with that type of building, they stayed put and did not roam about as much as the more war-like Indians or those who relied upon hunting as their primary source of food. You have a good memory from your school days! Thanks for the comment. 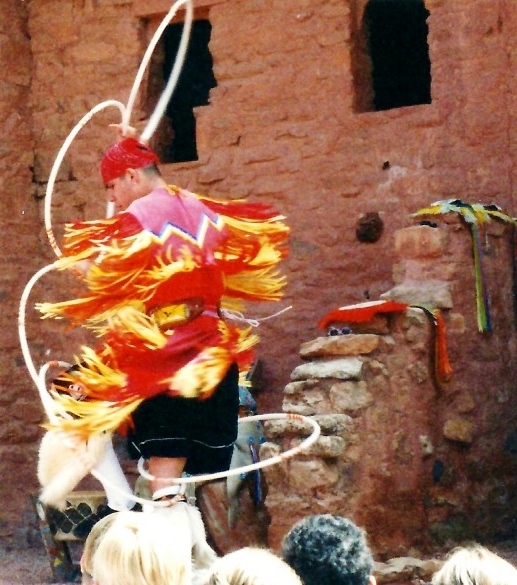 I am taking it as a compliment that you got your husband to take a look at these pictures of Indian dancing at the cliff dwellings found in Manitou Springs, Colorado. They also engage the audience and answer any questions the audience members might have regarding Indian customs. 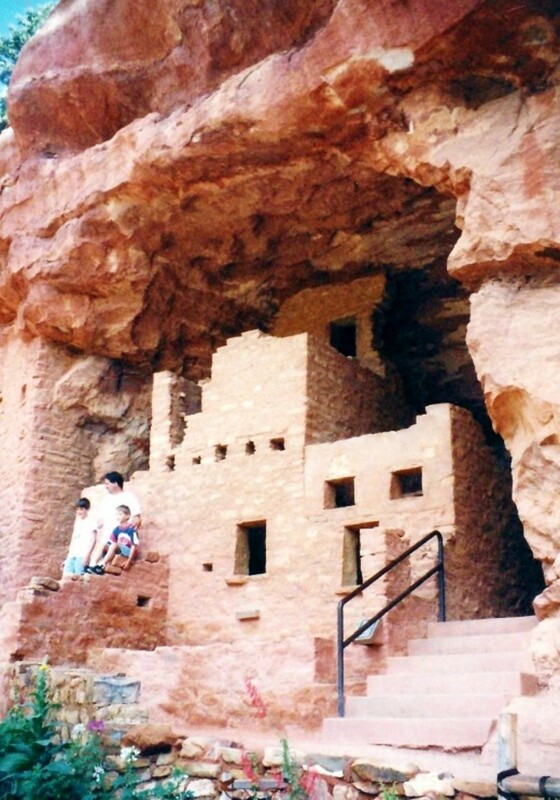 It is a very nice feature of visiting these Manitou Cliff Dwellings during the summer months. Hope you enjoy yourself at the Manitou Springs Cliff Dwellings in Colorado! Thanks for the comment. A really well written and researched hub. I loved it from beginning to end. I had to come back to it a few times. Thanks for the great read and so well done. Thanks for doing this hub! I visited Colorado Springs for a year as a consultant and I really loved the area. I didn't much care for the dry air, but the rest of the area is stunning! There is a lot to see there in Co. Springs. Being part Native American myself, I go to powwows yearly and recommend that anyone who is interested to go to your nearest powwow and experience the dances and story telling as well as the arts and crafts of our ancestors! Very informative hub. The Photographs are really cool. This area seems so magical or holy to me. Thank you dear Peggy! I dream of places like this all the time. God bless Peggy. Traditional culture is a nation's treasure that must be preserved. I was introduced to Indian cultures through cowboy movies but I didn't know there were Indians living at cliffs because most of them live in tepees. 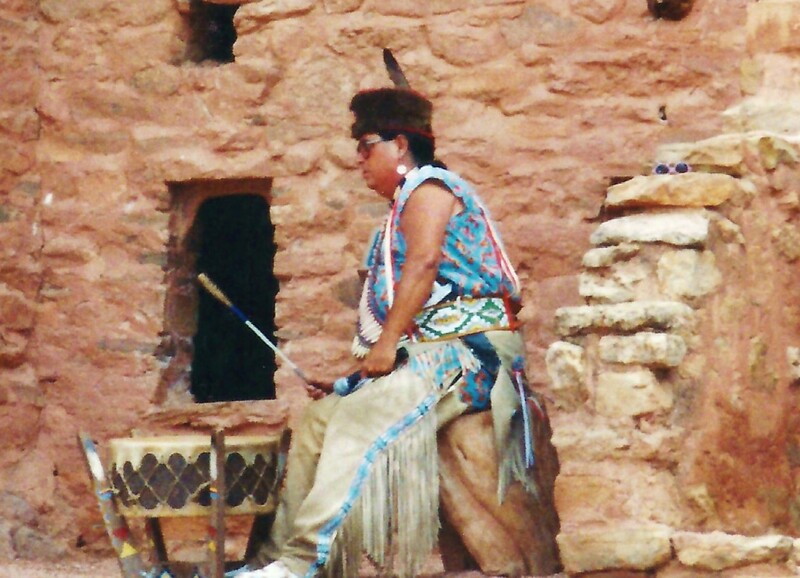 Thank you for this beautiful hub Peggy W.
Thanks for sharing the pictures and videos of Indian Dancing, Cliff Dwellings at Manitou Springs Colorado. I love the architecture, the colorful indian dancers and the history and tradition of the Native Americans. A great and meaningful hub. Very informative hub, it is wonderful to read and see history come alive. Thank you for sharing. God bless you! 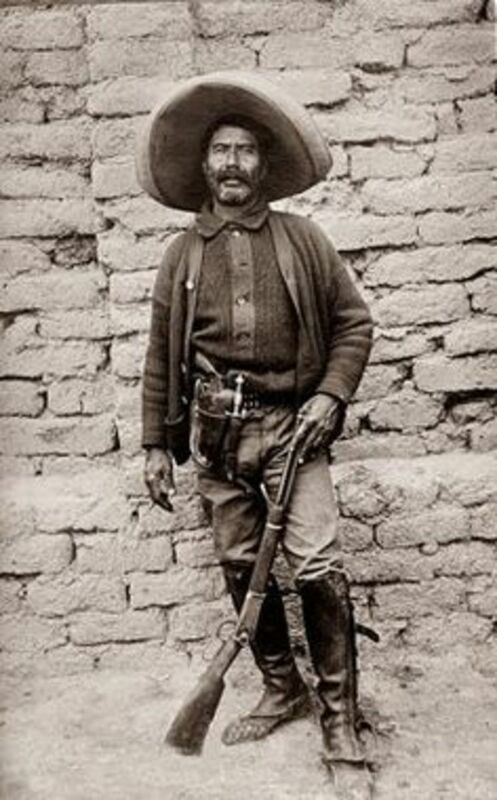 I've always been a bit curious about the cliff dwellers.From what I recall of my college courses they were quite different than the Indians that we generally have an image of because they were, I think, agricultural people rather than hunters. I think they were also non-warrior Indians.It could be that this is not true of all cliff dwellers.Thanks for bringing them to our attention. I absolutely loved this hub.... Even my husband looked at the pictures. I'm ready to go!! My wife and I visited a new pueblo this weekend. I can't wait until spring so we can visit many more.